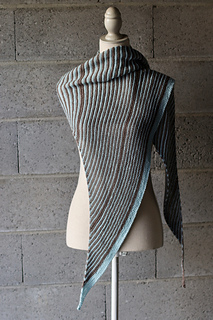 Fibonacci stripes are one of my obsessions. 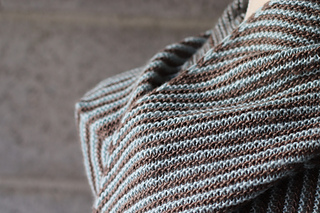 My first pattern is a hat which incorporates the Fibonacci sequence, and I went on with a matching cowl and now this shawl. 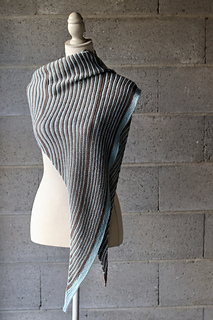 Fibonacci was an Italian mathematician from the Middle Ages, considered one of the most talented of his era. 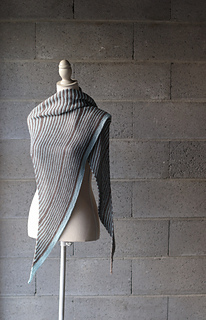 He introduced the number sequence (used in this cowl) from India to Europe. 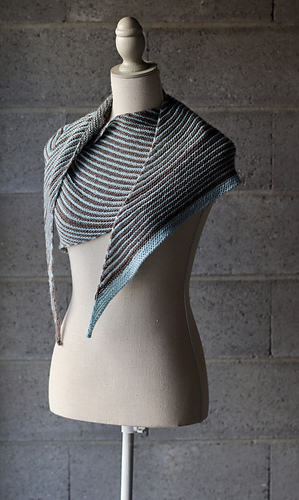 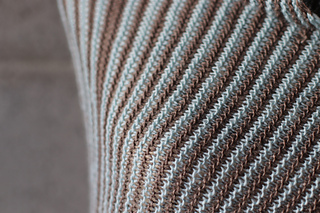 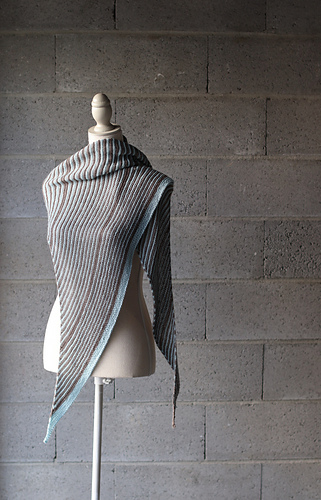 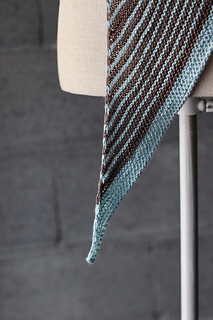 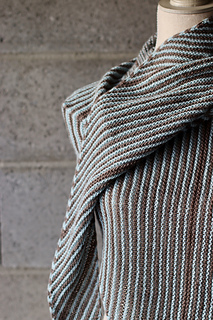 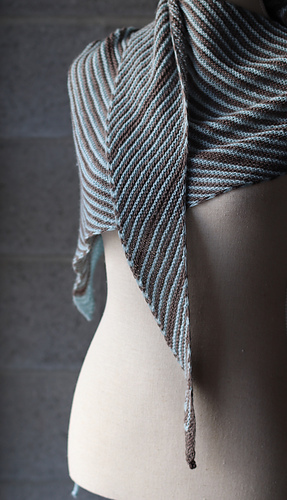 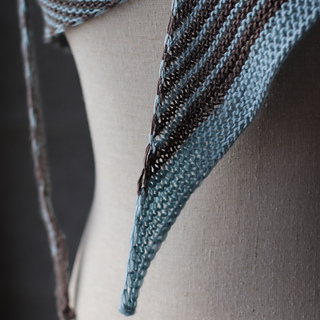 “Back to Stripes” is the most simple and entertaining shawl you will ever knit. 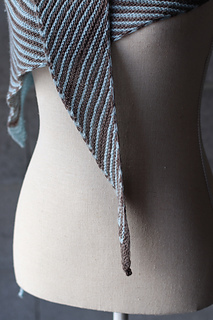 22 sts and 28 rows over 10cm / 4” in garter stitch, wet blocked.